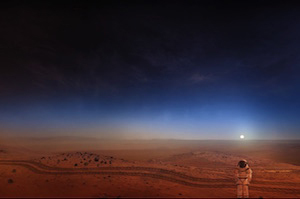 The Biotechnology and Planetary Protection Group is particularly interested in the potential for organisms to survive and reproduce in conditions present on the surface or subsurface of Mars (special regions), and on Europa and other icy satellites – potentially in the presence of a heat source brought from Earth (induced special regions). It is important to identify microbes with high potential for surviving spacecraft flight or planetary environmental conditions (e.g., radiation resistant organisms and high salt concentration tolerant organisms). Additionally, microbes found in spacecraft assembly cleanrooms – and the people that work in them – are the primary source of contaminants, and therefore, of great interest for studying the abundance and diversity of the microbial community present. Understanding how these microorganisms might survive different sterilization processes provides valuable information for the development of new sterilization methods in order to meet Planetary Protection implementation requirements. Space Biology and Human Research Programs have implications to planetary protection research. Understanding microbial populations and their impact on astronauts and the surrounding built environments, such as on the International Space Station, enable for preparation of human missions to Mars and deep space. This work also gives insights into microbial adaptations to the space environment. Spacecraft traveling to special regions must meet stringent Planetary Protection requirements. For one such Mars-bound spacecraft, Viking, Heat Microbial Reduction (HMR) was used to reduce the bioburden on the spacecraft. This involves heating hardware in ovens for potentially long periods of time, which is dependent on whether or not the oven is a humidity-controlled environment. Thus, the process can be costly and time consuming. Additionally, modern spacecraft with thermally sensitive electronics and hardware materials are not always compatible with HMR. At JPL, component-level HMR is a standard practice for flight hardware activities. Aseptic assembly, however, is not. Therefore, a new approach is to perform sterilization at the component level and then assemble the components under sterile conditions. NASA Planetary Protection Officer has approved Vapor Hydrogen Peroxide (VHP) as a low-temperature microbial reduction modality for simple surfaces: with specifications for time, rate, and H2O2 concentration levels. It does not, however, scale up to larger pieces of hardware, provide direction for hardware with complex geometries (e.g., vented boxes and electronic chassis inside the warm electronics box of a rover), or provide compatibility with hardware. Therefore, the Planetary Protection group is performing additional work to study these areas in more detail. Mars has an extremely high salt content, particularly magnesium sulfate. Therefore, the Biotechnology and Planetary Protection Group aims to confirm whether microorganisms can withstand these high salt concentrations. Two high salt concentration lakes in the United States serve as one of the isolate sources for the study. Moreover, isolates recovered from JPL cleanrooms (source for contamination) and the Biological and Organic Materials Archive, will serve as candidates for the study. Planetary Protection scientists are studying microbes closely associated with organic materials such as adhesives, grease, and ceramics (commonly used in spacecraft assembly). The microbes are being characterized for their ability to use the organic materials as their sole carbon source. This study will provide valuable data regarding the ability of these microorganisms to grow and survive on spacecraft, and their potential to ultimately contaminate the destined planet or moon. The results will provide useful information for implementing appropriate spacecraft sterilization procedures for future missions. To eliminate risk of backward contamination, any samples slated for Earth-return that are subject to Category V (Restricted Earth Return) Planetary Protection requirements, necessitate a sealing or sterilization of the sample return container in order to prevent contact between the extraterrestrial environment and Earth’s biosphere. Several concepts and technologies are currently under study for potential Mars sample return, to address the transfer and storage of the samples whilst preventing contact between the two environments. 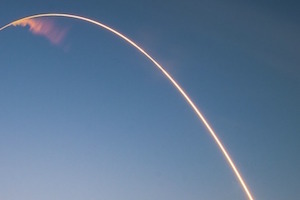 Planetary Protection group members are working with hardware engineers to ensure that the proposed methods can effectively eliminate contaminants from the surface of the sample return container. Prevention of infectious disease in the ISS crew and microbial contamination of the vehicle and life-support systems, such as biofouling of water and food, is of great importance for future human space exploration. The major sources of contamination include food, drinking water, air, surface, and the astronauts themselves. 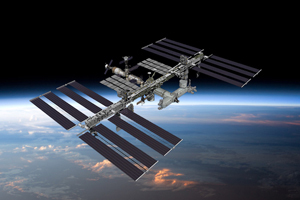 Additionally, environmental microbes from Earth – by way of payloads – can contaminate the ISS. In this study, ISS crewmembers collect samples from the mouth, skin, and nasal cavity, as well as environmental samples from the surfaces and air within the ISS. Planetary Protection researchers at JPL receive the samples every 6 months for detailed analysis and identification. Researchers use the data to better understand the total microbial communities within crew-associated environments and provide direction to the crew to keep the contamination under control through periodic scheduled sanitation. The methods used allow researchers to determine if any microbial signatures identified, for example, resistant traits, are of any concern to the health of the crew and the ISS spacecraft habitat. Using both traditional and state-of-the-art molecular analysis techniques, can build a clearer picture of the International Space Station's microbial community. This allows for detection of bacterial agents that may damage equipment or threaten astronaut health, and identify areas in need of more stringent cleaning. Identifying the specific effects of a closed space environment on astronauts will provide knowledge to scientists for developing systems that enable the crew to remain healthy on future long duration missions to the Moon and Mars.